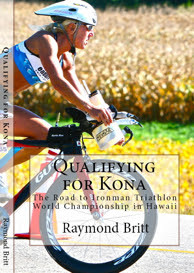 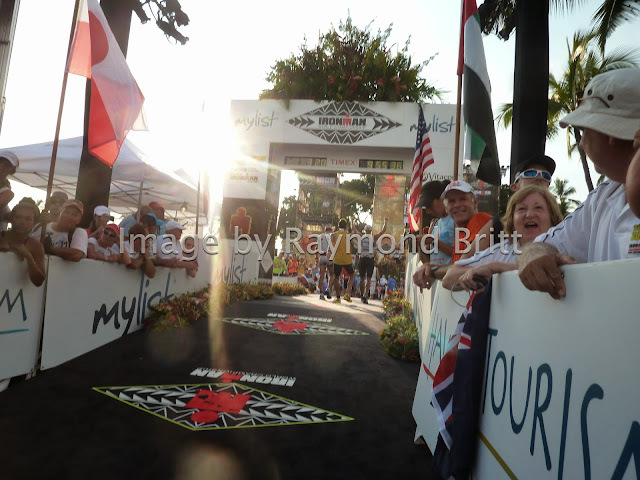 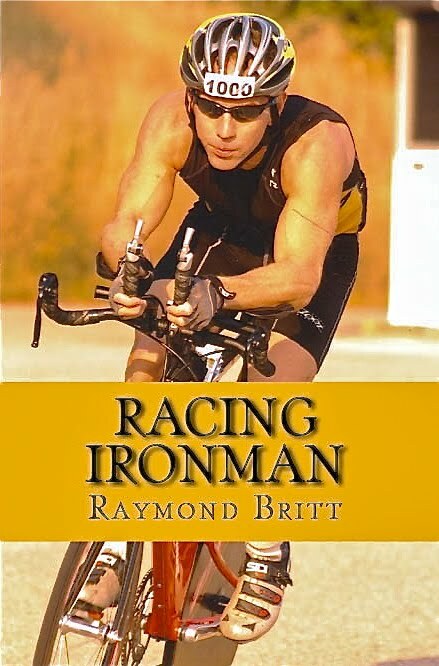 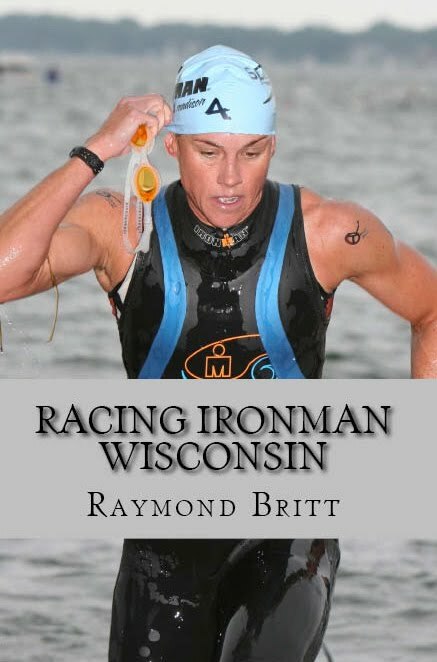 By Raymond Britt -- It requires tremendous commitment and determination to qualify for Kona. 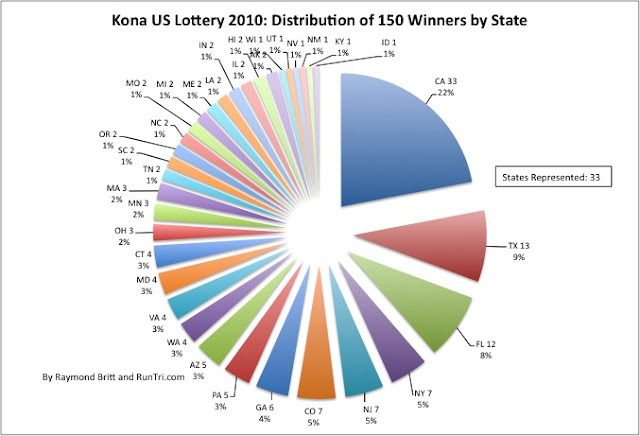 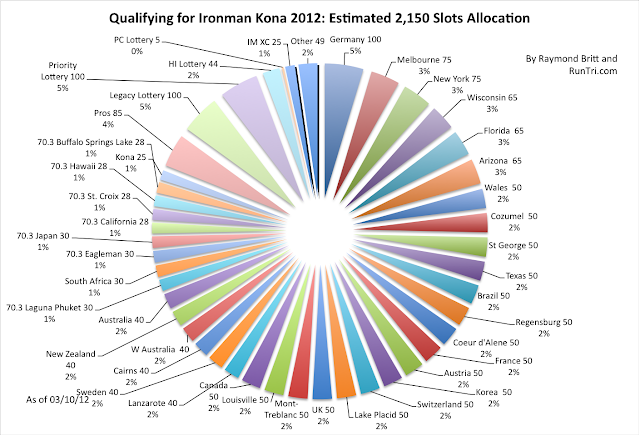 More than 60,000 triathletes try each year, but only about 2000+ win coveted Kona Slots (1700+ qualifiers, plus lottery winners, etc.). We know what it takes; we've qualified for Kona three times. 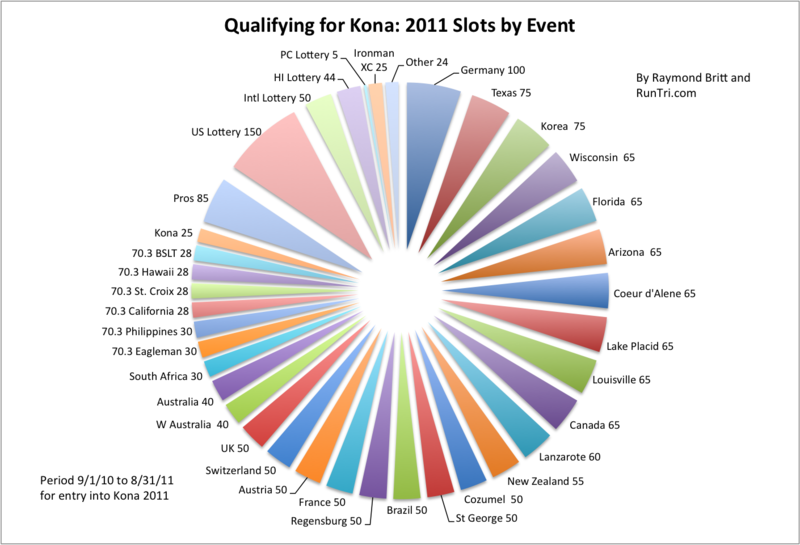 Kona is everything you expect and more. 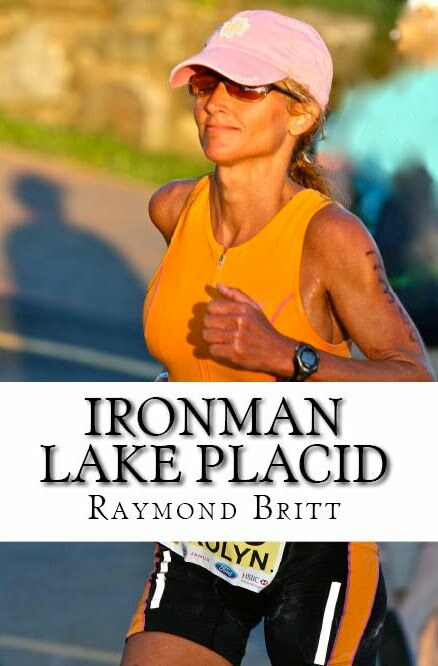 It takes hard work to get there, but it's worth it. 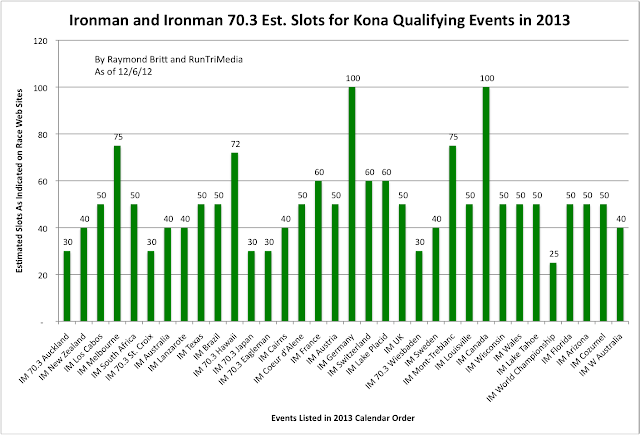 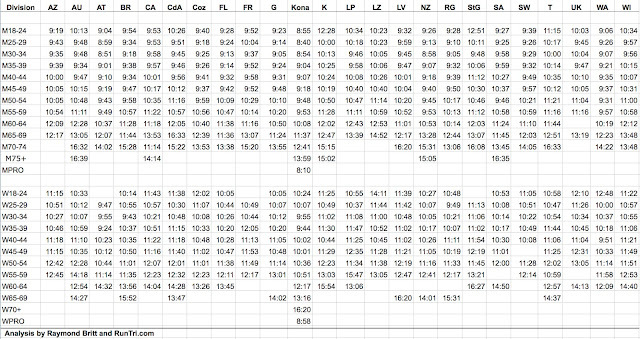 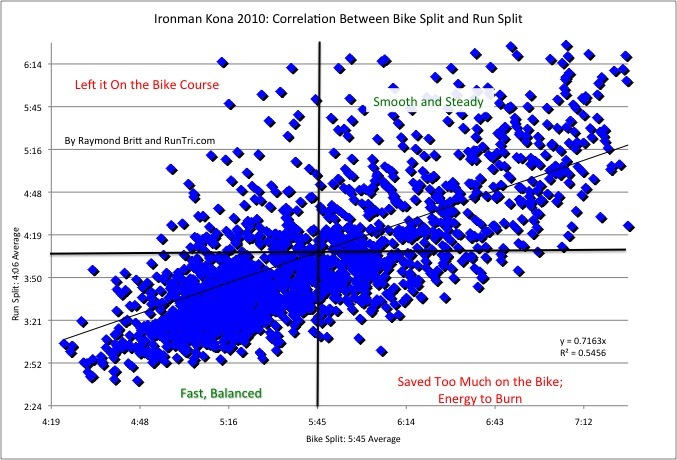 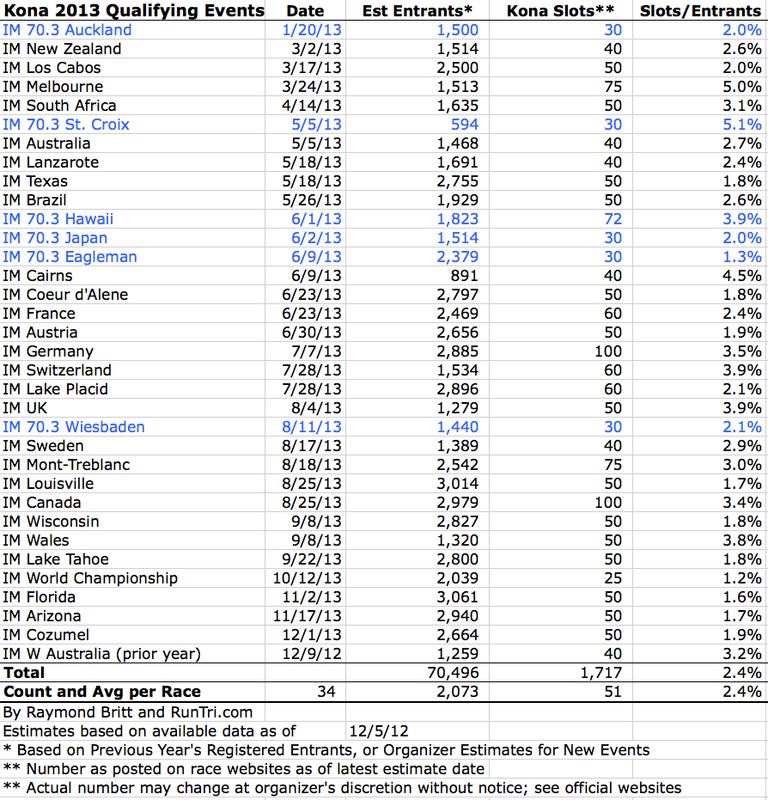 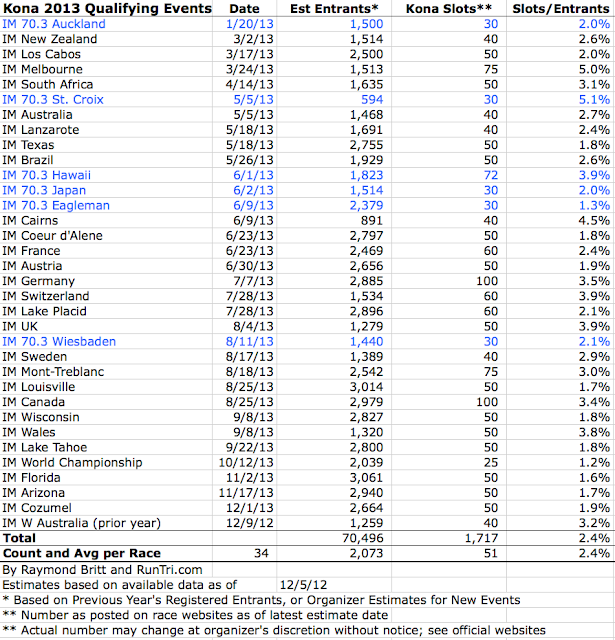 As of 12/5/12, here's our estimated schedule of, and slots reportedly offered by, the 2013 season scheduled 34 Kona Qualifying Ironman and Ironman 70.3 events. (See important notes and caveats at end of post). Also see our analysis of how allocations by race have changed over time: Kona Qualifying Events 2005 vs 2012. 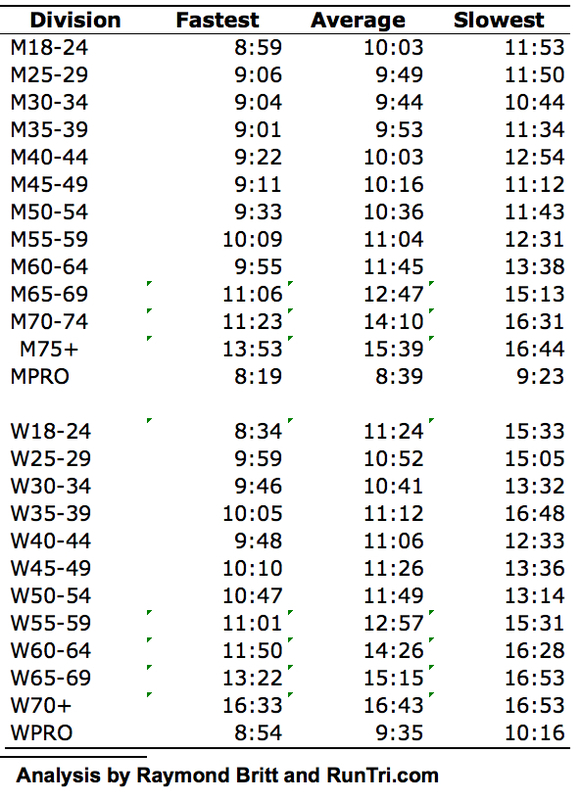 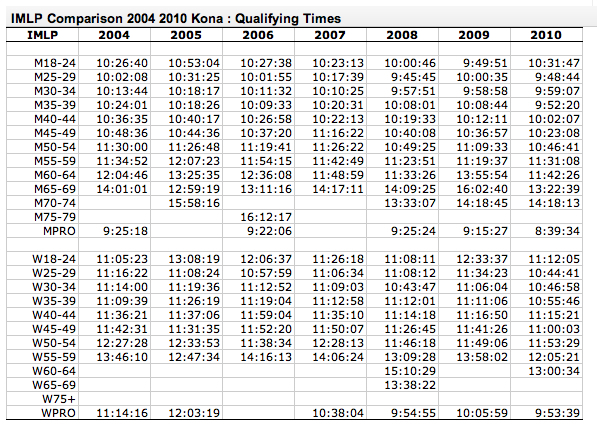 Here's a high-level overview Kona Qualifying Times across all 25 Ironman events. 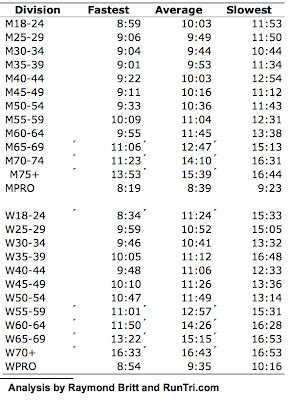 Below are the fastest, average and slowest qualifying times by division. 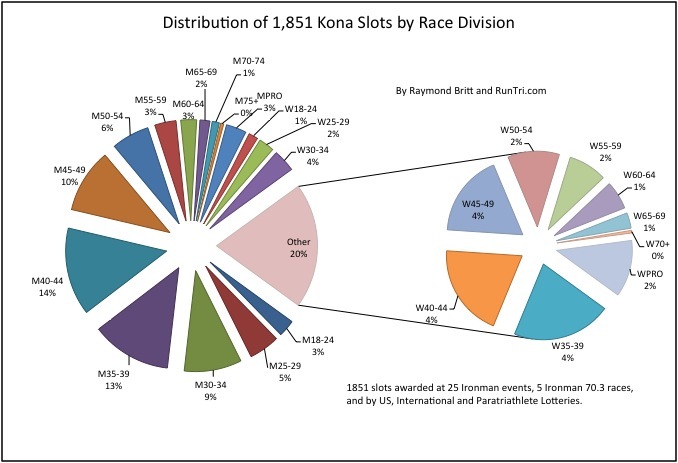 These represent the best times, selected from many different races. 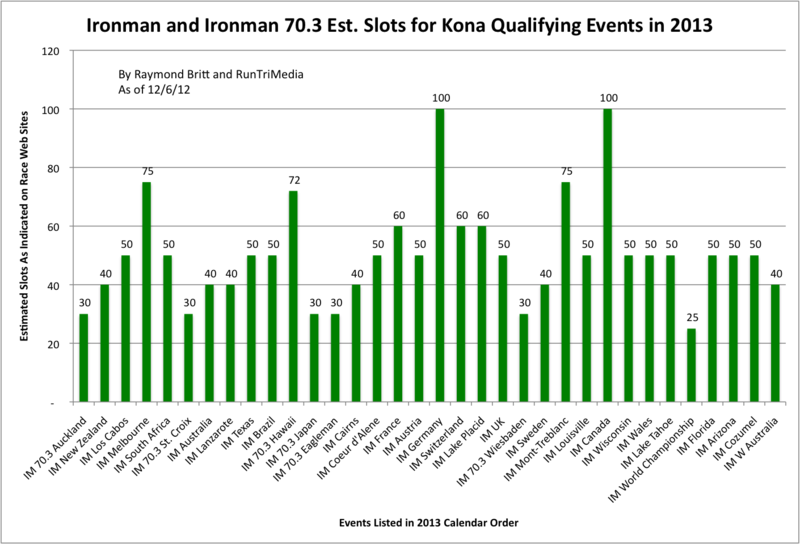 For the details, see our Kona Qualifying Times and Slots by Ironman Race and Age Group. 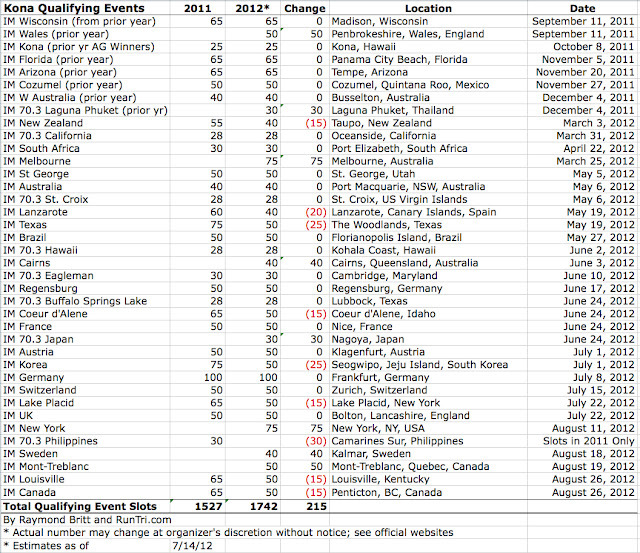 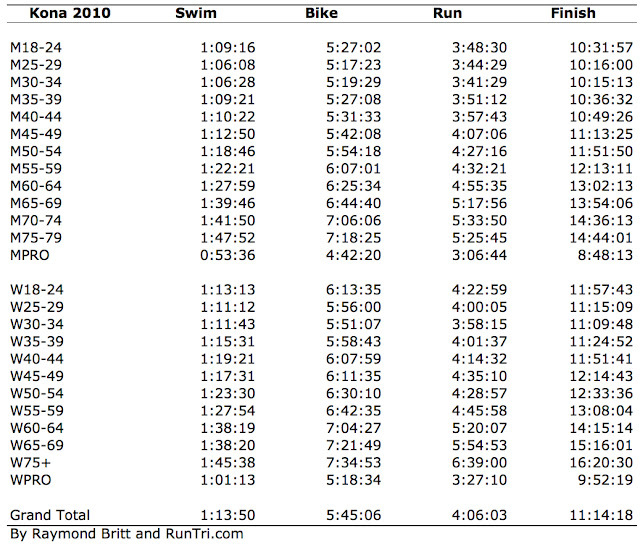 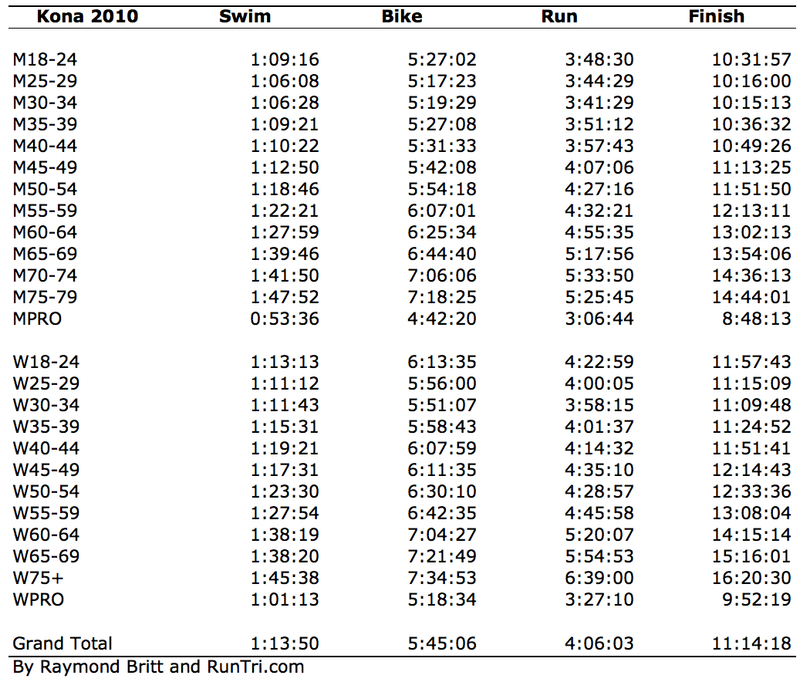 Changes in Qualifying Times example: Ironman Lake Placid 2004 to 2010 by Division. 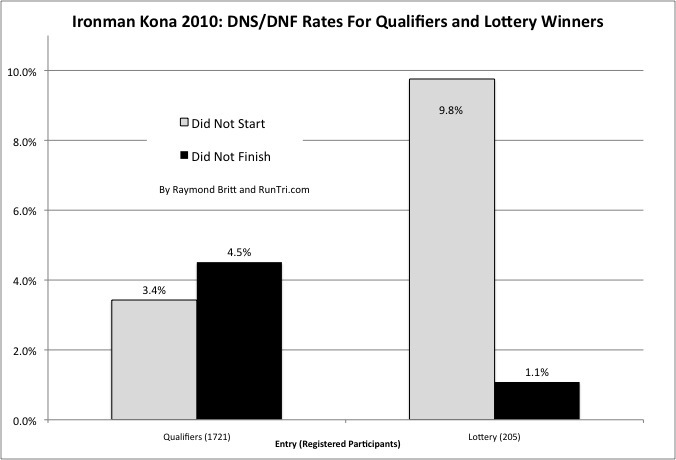 DNS and DNF: Qualifiers vs Lottery Winners. 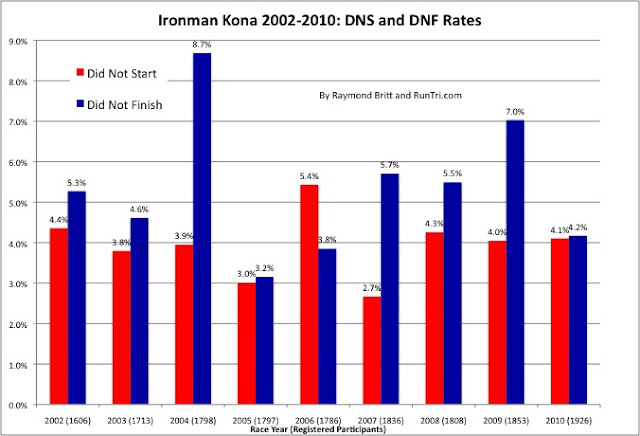 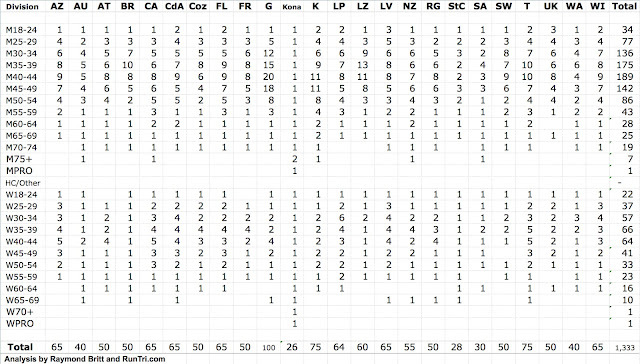 Important Notes and Caveats for data that factors into 2013 schedules, slots, etc.